Common name – Leather leaf sedge. Native to New Zealand. 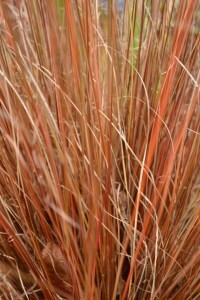 This grass is reasonably fast growing and keeps its shape throughout the year. The leaves range from red to brown and grow up to 50cm long. 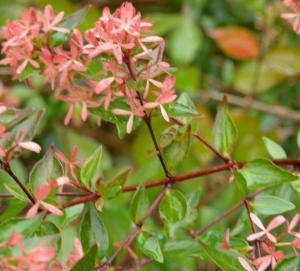 This plant is semi–deciduous which is actually quite good as it is prevented from becoming too dense. The flowers are insignificant and are followed by brown seed heads. Common name – Bittersweet. Native to Eastern Asia. This deciduous vine when left to grow alone will grow as a thicket but it can be trained against a wall as we do at Sissinghurst. If it is grown up a tree it will wrap itself around the trunk and has been known to strangle trees to death. The leaves are a dark green and alternate, turning yellow in autumn. The flowers are produced in cymes of light green during summer. 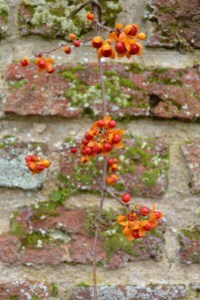 Once the leaves have fallen, the lovely red seeds are exposed with their yellow cases which pop open. In America this is an invasive species and is endangering the survival of several other species. Common name – Yew. Native in Europe. This dark green evergreen has small opposite coniferous leaves which are highly toxic if consumed although they are used in cancer medication. 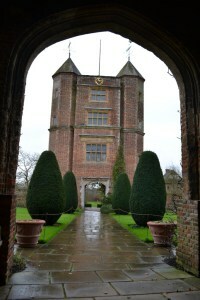 Yew is commonly used as hedging, specimen trees and topiary. Yews are dioecious as the males have yellow catkins and the females produce inconspicuous flowers that are only 1 – 1.5 mm long so you are very unlikely to ever notice them. The red berry which is developed in summer is the only part of the plant that is not toxic. Common name –parsley. Native to central Mediterranean regions. 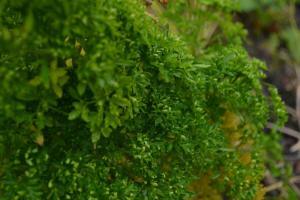 This culinary herb is a bushy biennial with rich green and aromatic leaves. The yellow flowers are produced in umbels in the second year ready to set seed so the lifecycle can start again. Strangely, although a common culinary herb, it is thought to be poisonous if eaten in large quantities. This may explain why one of its common names, as listed in the RHS Plant selector is the “Herb of death”. This isn’t typically the correct season for parsley to still be performing in the garden but because we haven’t had a hard frost and it is in a sheltered position, it is still going strong.